I have been needing some glasses for some time now, my kids got a hold of the last pair but I put it off for a long time because of everything being too expensive. Thanks to 39dollarglasses.com I was able to get a great pair for less than what it would cost me at a normal eye wear store. I must admit I have always steered clear of purchasing glasses online because I am worried on how they will look, or getting lost in mail or whatever else that can happen when you purchase anything online. 39dollarglasses.com has a great system to for ordering your glasses. You are able to download your own pic, (I used one of when I was 18 but it worked great) once you have downloaded your pic you're able to place any of the glasses on and see how they will look. I chose the Ferrere which is a nice heavy plastic frame that is black and green (my favorite colors). I came across the Ferrere glasses because on the site they have an option to choose a color so I chose green and this was one of the pairs that came up. 39dollarglasses.com also allows for you to choose your frame style, lens style and color so you can narrow down to what really stands out for you. 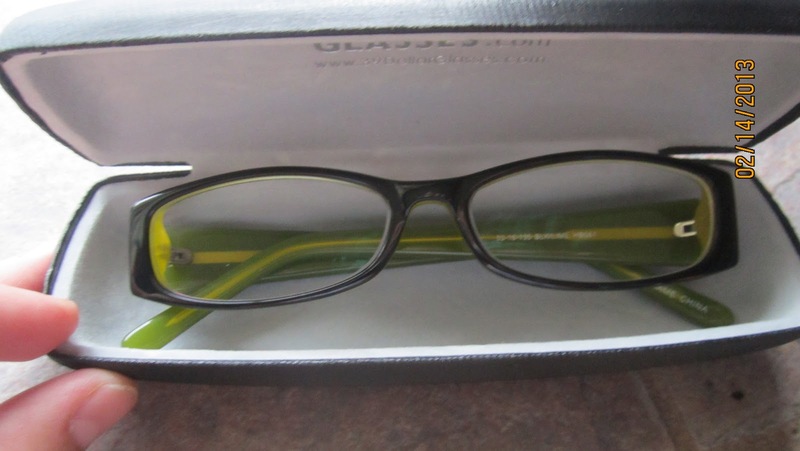 The glasses came within about 2 weeks time (I have heard before some can take a month!) which I thought was great. The glasses came in a nice clam shell case along with a microfiber cloth and screw driver for loosening or tightening your glasses. 39dollarglasses.com has many frames to choose from along with sunglasses, for Men, Women, Kids and you can even send your old frames to get new lenses. Being that I have 5 kids (3 of which are younger and get into things) I loved the durablity of the frames. Upon making my purchase with 39dollarglasses.com I was given a option of lenses, Clear Polycarbonate High Index Lenses, (these are your standard lenses) or you can choose one of 6 options which all add more to cost of frames. I choose the Clear Seiko Super High-Index Lenses w/Premium Anti-Glare Coating. I went with this choice because I have a hard time with light while driving at night ( I have an astigmatism ) and with being on a computer often I needed something to help reduce my headaches. I like how well the lenses do reduce glare I am a happier person with them. I was over all very satisfied with how everything was handled when placing a purchase with 39dollarglasses.com it gave me a new outlook on ordering glasses online. You can check out all the great frames to choose from by clicking here. When you make your purchase at 39dollarglasses.com be sure to use code 7KIDS to save 10% off your purchase. Disclosure: I was given a pair of glasses to help with my review. All opinions are 100% mine. My favorite is the Stuyvesant Eyeglasses. :-) Thank you. I like the Portland Frames. I like the Fontana frames. I love the Ernest Hemingway 4610 frames! My favorite is RIO in brown/amber. Fulton in Chocolate are my favorite frames.